On Friday 6th June at 1pm BQT audititions begin. 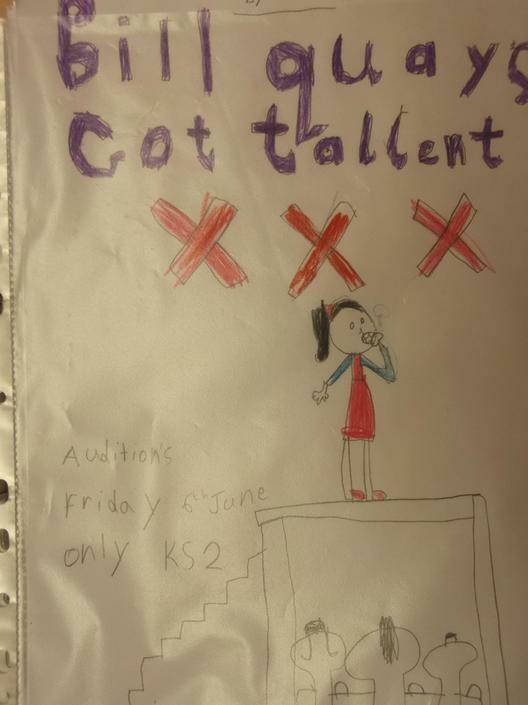 If you are in KS2 and have any talents please come to the audititions. We are looking for two presenters (like Ant or Dec) to host the live show which will take place on Thursday 12th June from 5.30-7.00pm. Tickets are available from the office – prices are £2 per adult and £1 per child. Each ticket will be entered into a prize draw.